The book is about teaching history and provides a number of vignettes to illustrate how students and historians think about historical events. 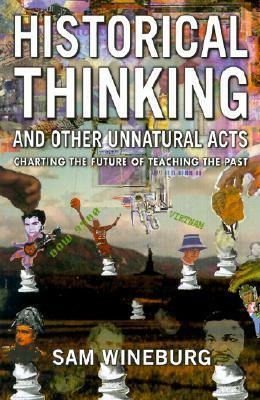 The vignettes illustrate how someone trained in historical thinking approaches historical situations quite differently from someone untrained, even when the trained person’s knowledge about the historical situation is roughly comparable to the untrained person’s. “3. The ability to appreciate a historical narrative. As part of their study, Bell and McCollum tested 1,500 students from fifth grade through college level on their historical knowledge. They found only 16 percent of students below the high school level, 33 percent of those in high school, and 49 percent of college students answered the questions correctly. “Bell and McCollum indicted the educational system and its charges: ‘Surely a grade of 33 in 100 on the simplest and most obvious facts of American history is not a record in which any high school can take pride.” [p. 32] Wineburg goes into various assessments since then, all with comparable findings. Concerns about the level of historical knowledge among students is nothing new. The book is very enlightening, and gives us excellent examples of historical thinking and how trained historians use it to analyze historical situations. It’s an excellent aid for students of any type of historical event. It is an excellent primer on how to think about historical documents and actors as well as providing tips for those teaching history. It’s useful for students of history who aren’t going to be teaching others in addition to teachers. I can highly recommend it. It’s a really good book for the reasons you mentioned above. Proud to say I own a copy. It’s beneficial as well from a teaching perspective, glad you got a lot out of it. Thanks, Rob. Like you, I really enjoyed it.